The Van Luit property in Atwater Village consists of two buildings, each part of the manufacturing and sale of wallpaper for Van Luit and Company, the first wallpaper manufacturing business in California. The oldest building on site, a daylight factory designed by James Raymond Watt, Jr. in 1950, is located toward the south side of the site. The second building, built in 1965, was designed by master architect Edward Abel Killingsworth in the International Style, and housed the showroom and company offices. 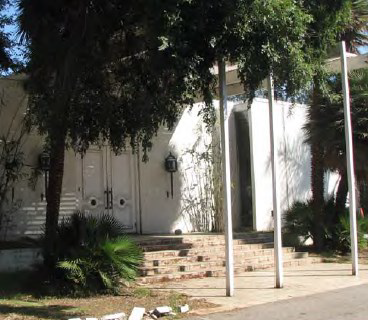 Killingsworth designed many commercial and residential buildings in Southern California, most notably four houses in the Case Study program.